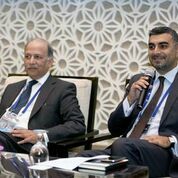 UKIFC Board Members join ADIB CEO at RFi Group digital banking event in Dubai. The Global Digital Banking Conference – UAE edition, conference explored the latest insights and best practice success stories for digital engagement and innovation across the full range of retail banking covering acquisition, main bank relationships, share of wallet, payments, targeting specific consumer segments and also marketplace lending and new forms of payment. The event series also ran in London, Toronto, Singapore and Sydney and was designed to optimise RFi Group’s global research expertise and provide an opportunity to share insightful global best practice and thought leadership.